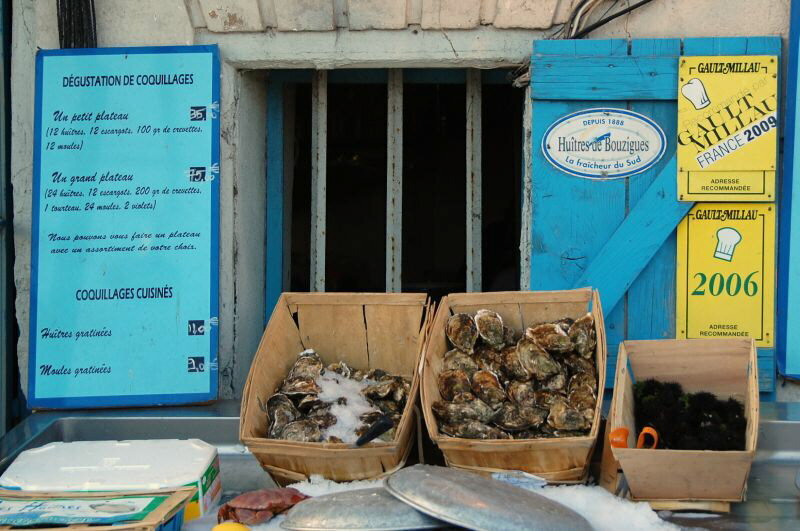 Karen Bowerman visited the coastal town of Sete, one of France’s largest fishing ports, and discovered canals, colourful houses and a passion for octopus. Il suffit de passer le pont: all you have to do is cross the bridge. 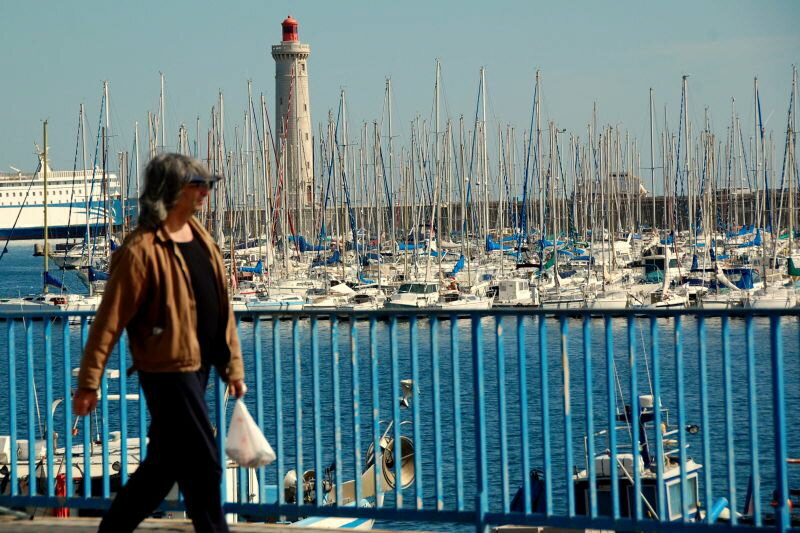 The words of Sete’s famous poet and lyricist, Georges Brassens, sum up his hometown well, with its stone bridges and narrow walkways arching over the water. 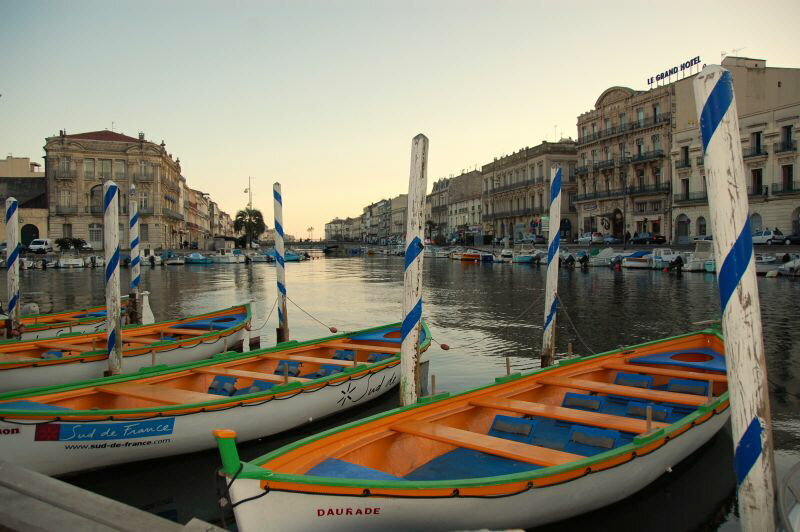 The local tourist board describes Sete, in the Languedoc-Rousillon region of France, as the country’s answer to Venice; but when I discovered it had just four canals, and canals that were home to fishing trawlers, not gondolas, I feared they’d taken the analogy a little too far. Which was a shame, because Sete doesn’t really need comparisons. And while its watery environs are essentially all it has in common with that famous City of Canals, its location, with the lapping waters of Thau Lake on one side and the Mediterranean on the other, makes it attractive in its own right. The afternoon I arrived, I ignored the analogies and set out to explore, criss-crossing the Canal Royal, over the curvy reflections of pastel-coloured buildings, former merchants’ houses and the towering façade of the art nouveau Grand Hotel whose rooms overlook the water. An old man stood at the rudder of his motorboat as it chugged slowly out to sea. 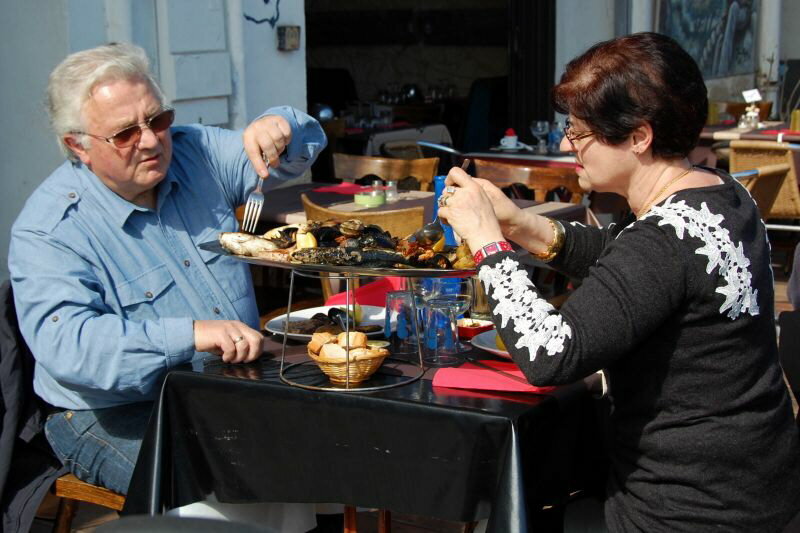 Waiters arranged displays of oysters on large, ice-filled platters and bars tempted passers by with flan (a local pastis) and Listel rosé, grown and bottled on the slopes above the Lido. 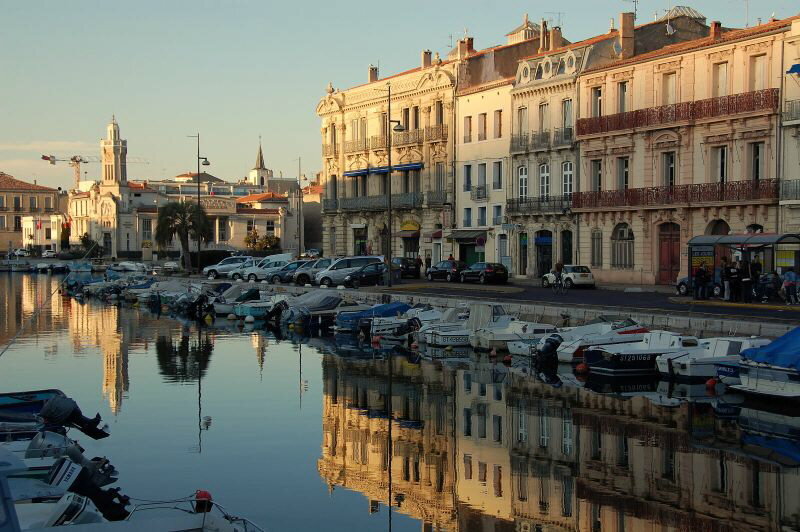 Sete was once a wealthy town, thanks to its trade in wine and fish. It’s still the largest fishing port on the French Mediterranean, landing 200 tons each year: a catch comprised largely of anchovies, sardines and tuna. But over the past five years, EU quotas have hit fishermen hard and the quay, which according to one local used to house more than 30 tuna boats, each “bright and white and beautiful,” now has just 15. The town itself lies on the lower slopes of Mont Saint-Clair, a green 600 ft hill, which most visitors tackle by car, although steps for the energetic lead up from the port. The route, once used by pilgrims, has the stations of the cross marked on its walls. At the top is a small, whitewashed chapel (chapelle Notre Dame de la Salette), its dark interior brightened by colourful frescos. From the viewpoint outside, I looked down over a mass of red-tiled roofs, Sete’s 19th century breakwater and rows of neatly arranged oyster beds in the curve of Thau lake. Oysters here are much saltier than those from Brittany since they spend their entire life underwater. 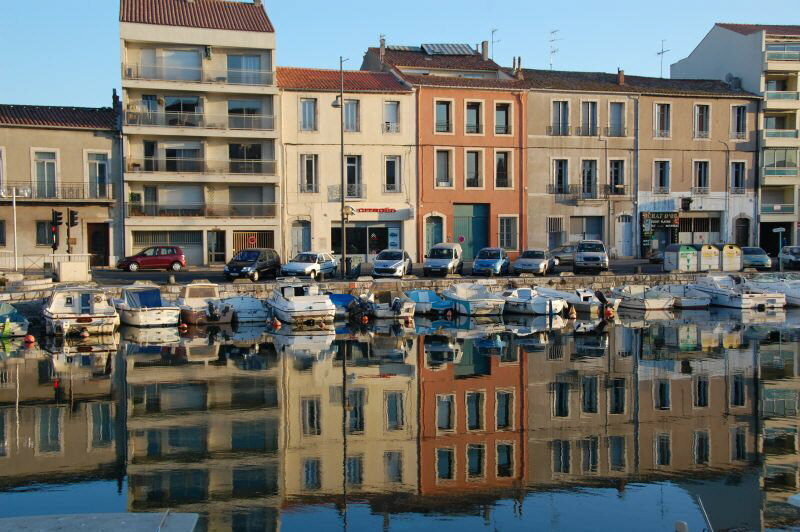 The oldest district in Sete is the Quartier Haut, characterised by tall, narrow houses with large square windows and balconies. In the 17th century this was where the labourers who built the port lived. Later, it was became the home of fishermen from Naples. I went in search of St Louis church. 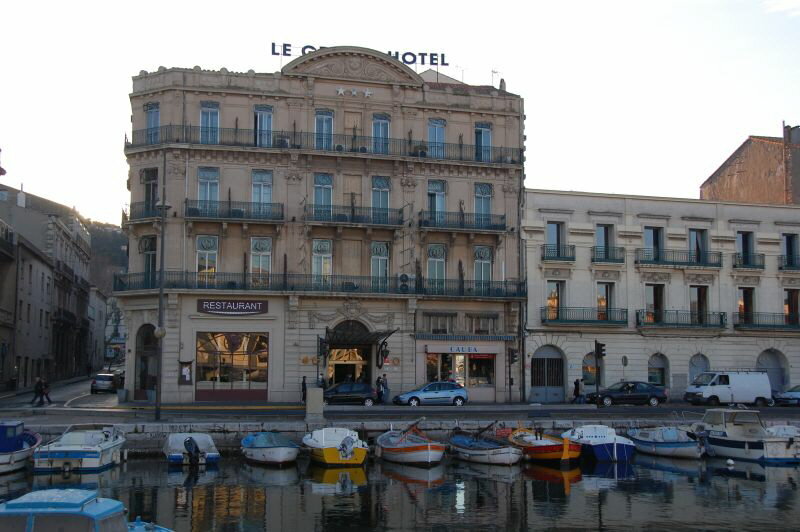 Built in 1702, it’s the oldest in Sete and crowned with a statue of the Virgin Mary, the Queen of the seas. I thought I’d spotted the building at the top of a steep hill. But when I got there a sign suggested I’d mistaken it for a lyceé or high school. There was an old man, looking out of an open, downstairs window. I asked if I was going the right way. “That depends where you want to go,” he said sardonically. I explained that it wasn’t the lyceé. “That’s because you’re too old.” In semi-darkness behind him, an old Italian mama, laid out on a chaise-longue and wearing a lace shawl, gave a stifled, fragile laugh. “Turn round, go back down the hill, turn right, then right again at the poule,” the man said. I thanked him, turned and went. 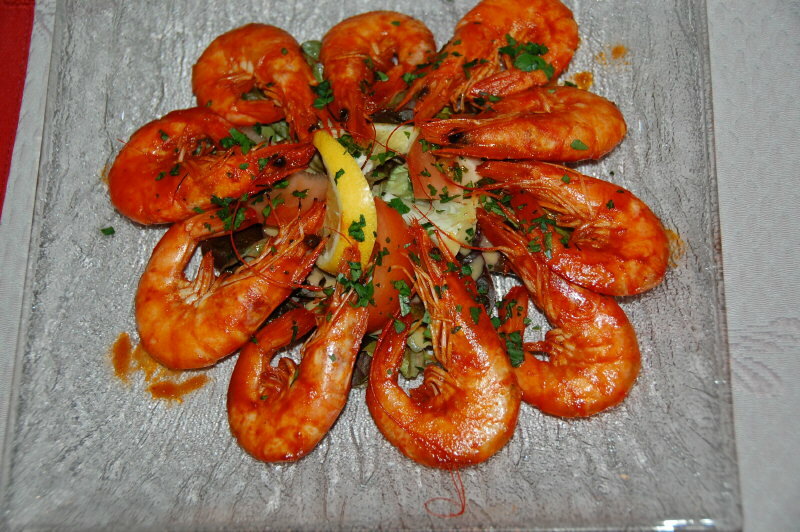 Given Sete’s reputation for seafood, I made a point of trying it whenever I could. 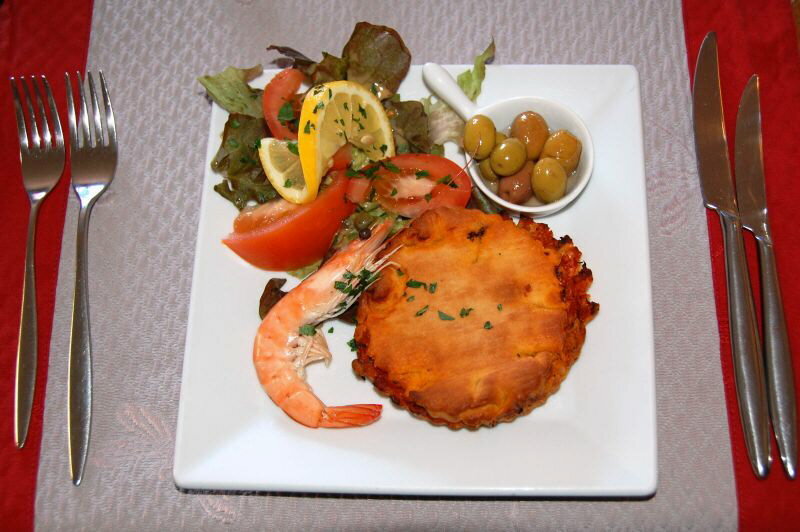 I tasted bourride of monkfish, a local dish served with boiled potatoes and ludicrous amounts of garlic, scallops in Noilly Prat which is distilled locally, and the town’s speciality, tielle or octopus pie, which went a long way to explaining the tentacled creature in the square. Tielle was introduced to the town by the Neopolitan fishermen who settled in the Quartier Haut. The snack, created to use up leftover octopus, is now served at a premium at most restaurants, although you can also buy (more reasonably priced) pies from Tiellerie shops and the covered market, a few streets back from Cadre Royal (part of the canal where water jousting tournaments are held every Summer). 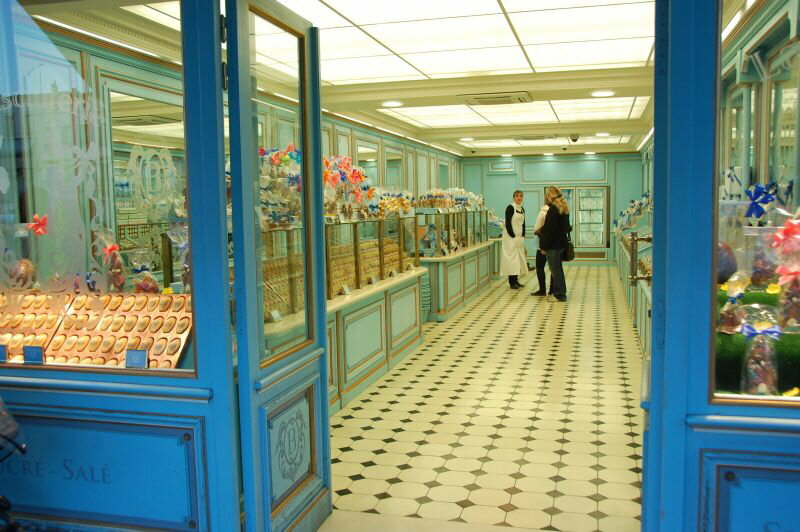 Local specialities of a sweeter kind include various types of tirimasu and a wide range of biscotti, the original being navettes, made according to an 18th century recipe, and flavoured with lemon or orange blossom. Fly direct from London to Montpellier International Airport, or from various regional UK airports. 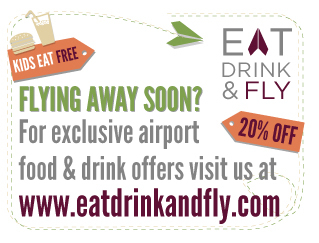 Flights with various airlines including Air France, Easyjet and KLM. 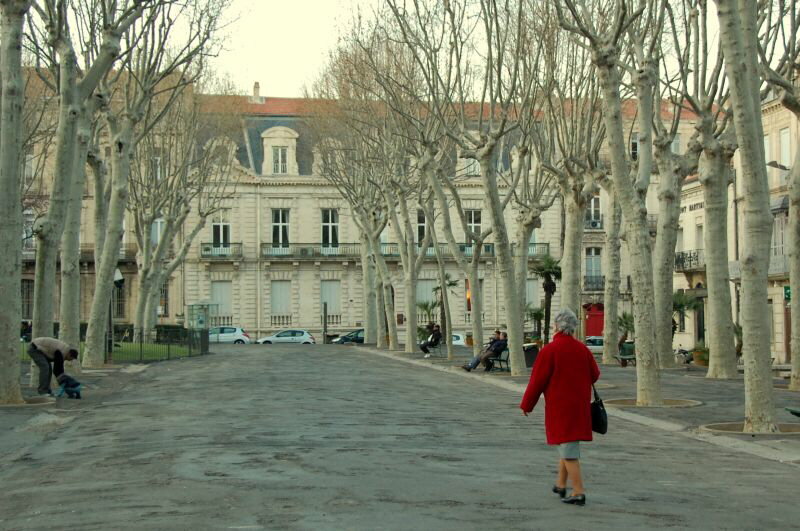 Sete is an easy 40 minute drive from Montpellier down the E80 and the A9. 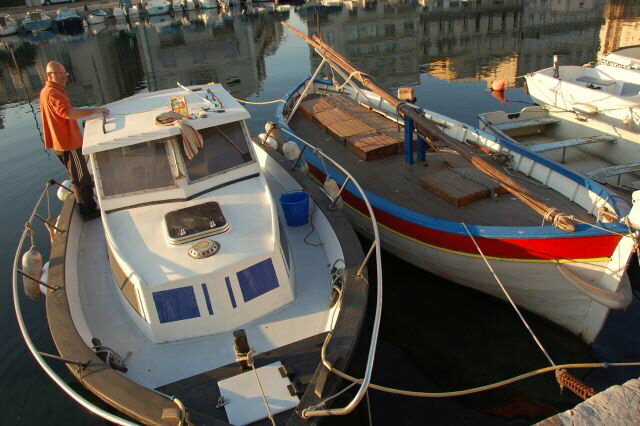 For boat trips/fishing trips try Sete Croiseieres. For museum lovers: visit MIAM the International Museum of Modest Art (a representation of everyday life). For modern art try the whacky CRAC. Go rambling round Thau lake with a nature expert.